One Fine Day | The Chiffons Vinyl Record Memories from 1963. The Chiffons Vinyl Record Memories. One Fine Day Oldies Music Lyrics was written by Carole King and Gerry Goffin. The song was recorded in 1963 by The Chiffons, an all girl group from the Bronx area of New York. "If I could go anywhere in the world right now, I'd go back to 1963. Music from back then just makes you feel good." I could not have agreed with her more. 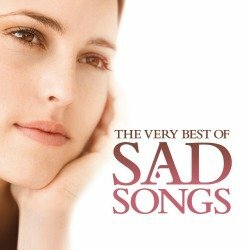 Wanna return to that feel good music era? Climb aboard my memory train and travel with me back to yet another great time in history when "One Fine Day" lit up the summer of '63. 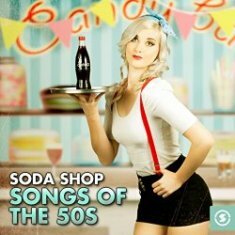 Whenever we hear classic oldies we tend to think back and remember where we were when songs like this were popular. I can recall the first time I heard this great song on my new AM car radio. Here's my "One Fine Day" story. My '57 chevy didn't have a radio when I bought it so I purchased one from a junk yard and headed off to see my buddy Steve Meyer. Steve worked at a Standard Oil Service station and helped me install the radio. Actually Steve did most of the work. As I left the Service station I tuned into the Dayton radio station W-I-N-G. After a commercial the first song I hear on my new junk yard radio is "One Fine Day" by The Chiffons. Pictured below is my blue '57 I purchased in 1962 for $895.00. A five year old '57 chevy for less than a grand. I know what you're thinking...Do I still have that cool car...I wish. Now picture this...Here I was, less than a year out of high school, eighteen years old, a recent pay raise to $1.10 per hour, cruisin' around in my '57 chevy and The Chiffons are singing "One fine day, you're gonna want me for your girl." Life was good. Those young girls I over heard in that record store had no idea this old guy had been a part of exactly what they were wishing for. One Fine Day Vinyl Record Memories - How it all began for The Chiffons. 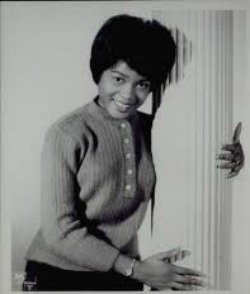 The song was intended for Little Eva of "Locomation" fame but despite that exciting piano entry by King, Goffin and King could not come up with an arrangement they were satisfied with. 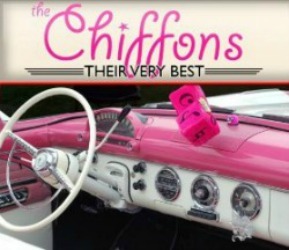 The song was passed to "The Tokens" and their thinking was, maybe another song using the word "fine" may have potential since they had recently produced the #1 hit "He's So Fine" by The Chiffons. Shooby Dooby Doo Wop Wonderful! The Tokens took the song, changed and re-worked the Goffin/King demo by removing King's vocal but retained her piano work. The Chiffons then recorded their vocals and bingo, a Top five song on the Billboard Hot 100 chart. The song is ranked #460 on the Rolling Stone Magazine's list of "The 500 Greatest Songs of All Time." Here's proof that some things get better with age. Watch this great video of "The Chiffons" with the original lead singer Judy Craig performing at the PBS special, "Doo Wop 51" in 2000. Return to Girl Groups main Page. 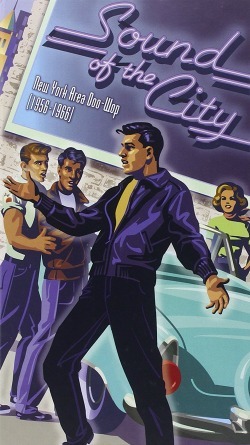 Head over to my Doo-Wop pages from here. Visit the popular Golden Classics pages here. Did the song lyrics predict the girls future? Please, Eddie, don't make me wait too long. Read their story and their final tragic ending. Learn more.. Pink Shoe Laces was a cute #3 hit song for 13 year old Dodie Stevens in 1959. Forty years later she performs with her daughter in a 1999 special called "Rock-n-Roll Graffiti" and...WOW! Read more. 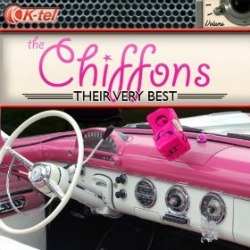 Visit The Chiffons Amazon Store. See all of the Chiffons albums in one location. "My Boyfriend's Back and you’re gonna be in trouble." This story reveals how the lyrics were created for this #1 song. Read more. Before they became the Orlons, they were an all-girl quintet called Audrey and the Teenettes. 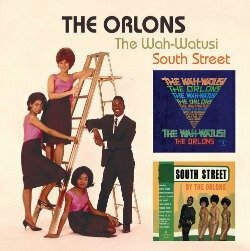 The name Orlons was a tongue-in-cheek nod to the friendly rivalry they had with a popular group at their high school, The Cashmeres. Read their story here. 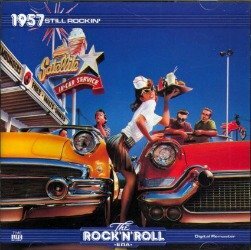 Listen to the original 45rpm recording of "The Locomotion" and watch the best dance version ever! Read more. It was simple and good back then never thinkin' it would end. Cruzin' the drive-in restaurants where guys with ducktails met gals with pony-tails. It was Burgers and Fries and Cherry Pies in a world we used to know. Read my Burgers & Fries story here.